All therapists at Speech Bananas have current licensure and/or certification to work with you and your child. Continuing education is a high priority so the most recent research, techniques, materials, and assessments are utilized during your session. Parents are an integral part of the assessment and therapy process at Speech Bananas. Parent participation is highly encouraged and expected. The therapists guide each parent on facilitation and carryover techniques specific to their child during each session. We are a Nonpublic Agency (NPA) certified by the California Dept. of Education and contracts with school districts. Services through medical insurance are currently available to patients with Kaiser Permanente, TriCare, United, BlueCross, CCS/Medi-Cal (in collaboration with CI/HA center). 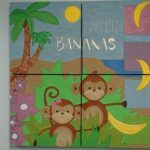 Speech Bananas provides speech and language therapy to children with articulation (speech production) delays, phonological disorders, language delays or disorders, autism, hearing loss and auditory disorders, fluency disorders. 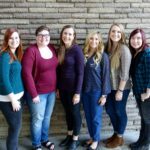 In addition to being a licensed Speech-Language Pathologist, Jenny is a In addition to being a licensed Speech-Language Pathologist, Jenny is a Listening and Spoken Language Specialist, Certified Auditory-Verbal Therapist (LSLS, Cert. AVT). 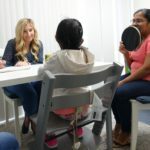 In order to obtain certification, Jenny committed over 1200 hours working with children with hearing loss and their parents in the therapy setting. She participated in over 200 hours of professional development and continues to gain knowledge each year. In addition to working with a Certified AVT for three years, with completion of supervised therapy sessions, Jenny completed a rigorous exam in order to gain the credentials of an LSLS, Cert. AVT. Work experience includes the cochlear implant team at the House Ear Institute Children’s Care Center, the John Tracy Clinic, The Moog Center for the Hearing Impaired, and St. Joseph’s Institute for the Deaf. Jenny completed the PROMPT training, Introduction to Technique, a three day intensive workshop in January of 2010. PROMPT is an approach used by Speech- Language Pathologists to restructure oral muscular phonetic targets. It provides a systematic way to plan and organize the direction and type of treatment needed for speech production delays or disorders. Through PROMPT, the trained therapist can help “develop an interactive focus/awareness for oral communication, use integrated, multi-sensory (tactile-kinesthetic) associative mapping for cognitive or linguistic concepts, and balance or restructure speech sub systems at the sound, word or phrase level.” Each phoneme (sound units of a language including vowels and consonants) has a PROMPT associated with it. The therapist gives input to all areas by using touch, pressure, and specific placements, thereby refining the movements of the speech sub-systems. 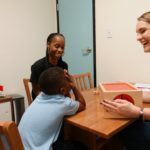 Jenny has found that PROMPT can benefit some children with cochlear implants and/or hearing aids. 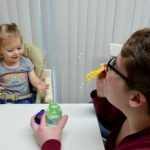 This method has been used when a child struggles with the development of speech and spoken language following appropriate access to the speech banana. The use of a multi-sensory approach can be extremely beneficial. Please refer to the PROMPT Institute for further information. Jenny became a certified Hanen Instructor for the “It Takes Two to Talk” program in August of 2009. This program is “the most well known and most researched early language intervention program consistent with utilization of naturalistic contexts and a family-centered approach.” The goal of this program is to “empower parents to become their child’s primary language facilitator, thereby maximizing the child’s opportunities for communication development in everyday situations.” The three main objectives of this program are parent education, early language intervention, and social support. What Parents Learn in It Takes Two to Talk includes: “how their child communicates and the next steps to take, what motivates their child to communicate, how to turn everyday activities into opportunities for their child to learn language, how to respond to their child in ways that improve language learning, and how to talk so that their child can understand them and learn new words and ideas.” It Takes Two to Talk, The Hanen Program for Parents, Information for Parents Pamphlet. Jenny uses this evidence-based approach during therapeutic intervention. She combines it with the skills and knowledge she has gained from her Auditory-Verbal Therapy training. Currently, Jenny is not running the full It Takes Two to Talk program. She uses the coaching/mentoring philosophy, individual lessons and handouts applicable to the families she works with. 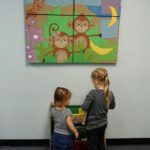 More information on The Hanen Centre and the It Takes Two to Talk program can be found at www.hanen.org. 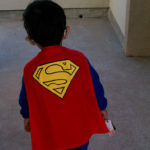 When our son was born extremely premature, we knew he would likely face developmental challenges. So when his speech delay became apparent, we searched high and low for a qualified yet sensitive professional to address it. We are so glad we found Speech Bananas! At Speech Bananas, a friendly receptionist in a bright, cheerful atmosphere greeted us. His therapist sat down with us, took a detailed history, formally assessed his speech skills, and quickly customized a plan and set goals for him.